KIM POSSIBLE is the popular, action-packed animated show on the Disney Channel. 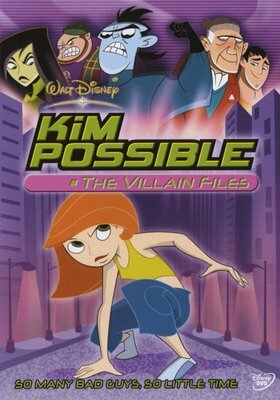 Kim herself is a teenage super-spy, constantly struggling to balance high school, her mischievous brothers, and foiling the latest super-villainous plot to take over the world! 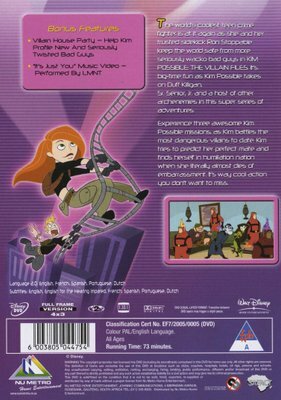 KIM POSSIBLE: THE VILLAIN FILES focuses on the battles between Kim and her sidekick Ron Stoppable with such dastardly miscreants as Duff Killigan, Senor Senior Jr., and Dr. Drakken.